FNB Wines2Whales riders have the opportunity to take home a Specialized Bicycle due to the introduction of the #MySpecializedDraw by the organizers and the bicycle company. “When we first welcomed Specialized as the official bike partner of the FNB W2W MTB Events we mentioned that exciting times lie ahead”, says Michael Meyer, Director FNB W2W MTB Events. “We are delighted to be offering all riders the unique opportunity of taking home their very own Specialized Bicycle after the FNB W2W MTB Adventure, Ride and Race. Together with the support of Specialized Bicycles, we look forward to continue growing these much loved MTB events and ultimately uplifting the sport of mountain biking in South Africa”. According to Bianca Grobbelaar, Marketing Manager Specialized Bicycles, the #MySpecializedDraw was inspired by the passion for the sport. Grobbelaar said that they will be giving away one bicycle per event. 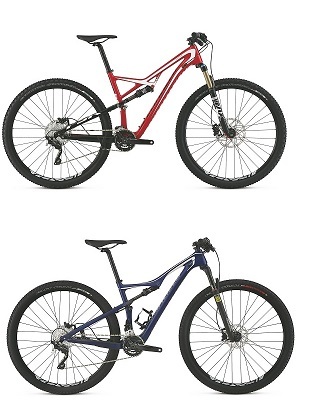 For the ladies, the Specialized Era Comp Carbon 29er has been chosen, and should a male rider win the prize, he’ll take home the Men’s Camber Comp Carbon 29er.